Forty-one-year old Elizabeth Bishop's life has begun to feel like a string of empty successes. While her international career has prospered, her personal affairs have not and the almost urgent sense that something vital is missing inspires her to make a pilgrimage to idyllic, small town Montague to visit her closest childhood friend, Annie. Until recently, Annie's life has appeared to be perfect. She married her pillar-of-society psychiatrist husband, Arthur, while they were both still in college, became a full-time mother to their two young children and devoted her self to caring for her family. Her life seemed to be postcard perfect until just the year before, when Arthur committed suicide, leaving her to raise now eight-year-old Sam and fourteen-year-old Betsy on her own. When Elizabeth arrives in Montague, she is plunged into the dark and tangled mystery surrounding Arthur's death. Nothing, apparently, is as it seems. Annie's life has been a lie for years. Arthur was a violent, angry man who scarcely spoke to his wife. Betsy and her father shared an unnaturally close relationship that excluded Annie and everyone else. Only Sam -- sweet, cheerful, buoyant Sam -- seems to have survived unscathed, but has he? And why is Annie so afraid of Jackson, Arthur's boyhood chum who was close to both Arthur and Annie for many years before he was banished from the family? Why has he resurfaced now and what secrets are he and Annie hiding? As Elizabeth tries to sort through the web of deceit in Annie's life, her own demons begin to emerge. She is haunted in her nightly dreams by a recurring vision from childhood of a brooding moonlike face hovering just above her but remaining out of reach. Who is the face, why has it returned and what does it want? Annie believes that only Luke, her high school confidant and Elizabeth's long ago boyfriend, can provide the key to their shared crises. Without telling Elizabeth, Annie invites Luke to join them in Montague. An unexpected love story ensues as the protective layers surrounding each of the characters begin to unravel. Annie finds courage and perspective as she sees her life from a new vantage point. Betsy learns that Arthur was not her biological father and that the insanity she was so afraid of inheriting from him is not her birthright. Elizabeth recovers the deeply buried memories of her own mother's death and finally confronts the face that has been haunting her dreams since childhood. At the center of Betsy and Elizabeth's growing friendship is their shared search for a relationship with God as He is revealed in the Psalms and Proverbs. Ultimately, each of the characters finds a Higher Power to whom they can turn for strength and comfort. I love books that I can relate to and this one I not only related to but was inspired by. One of my favorite parts was the direct communication between characters which was done with quotes. Communicating about difficult situations/feelings is usually described as done. This author shows us how it is possible to talk about difficult situations and feelings across ages. Her examples are very helpful to me. IT HAD SEEMED SO RIGHT AT THE TIME, an intuitive little gem of a plan. I'd make one last business trip to Washington D.C., just to wrap things up, and then rent a car and be on my way. What could be more relaxing than a leisurely two day drive out of the city, away from all the chaos and complication into the peaceful, sun-drenched countryside? But now, here I was on this gorgeous summer day -- winding my way through an emerald tapestry of undulating hills, blue sky stretching as far as I could see, a light breeze ruffling the lacy green trees arching above me -- and I could barely breathe. The old, familiar fist of anxiety tightened in my stomach. After all these years, I was nearly there, just blocks away from her house, and all I wanted to do was turn around and run. Some unnamed part of me, some unseen source, seemed to be whispering ominously, trying to warn me. But why? What could possibly be wrong? Why on earth should I be so afraid of seeing her again? Then, as I rounded the last corner and saw her, a tiny distant figure waiting on the sprawling front porch, the fist vanished and my heart leaped with joy. I rolled down my window and waved wildly back and forth, the way we used to do whenever we'd been apart for a day or two. The car screeched to a stop and as I jumped out to greet her, Annie sauntered down the steps to meet me. She walked slowly, purposefully, with none of the vigorous energy that had been her own distinctive style. As she approached, I was relieved to see that she looked much as I had remembered, although a bit thinner perhaps, and sadder. Her face had a kind of taut angularity to it, and the eyes ... the eyes were altogether different. They seemed remote and inaccessible, but her smile was warm and Annie-like as she stretched her arms out to welcome me. Impulsively, I rushed forward and threw my arms around her as though we were still seventeen. "Oh Annie, I've missed you so. My God, how long has it been?" She returned the hug, tentatively at first, then with an almost fevered intensity. After a moment, she sighed and took a step backward, surveying me cautiously. "It's been forever I think, at least forever." She stood regarding me intently, her head cocked to one side as though she were searching for something in my expression, something she desperately needed to find. "Annie, are you okay, you seem..."
A faint blush coloured her cheeks, and she hesitated, looking momentarily vulnerable and embarrassed, as though she'd suddenly looked down and found herself standing naked in front of a stranger. But within seconds her face closed again, the eyes hardened, and she regained her composure. "Oh, Elizabeth, I'm so sorry. I'm being horribly rude." She reached for my hand and laced her delicate, tapered fingers through mine. "Come on, let's go inside. We'll sit and sip something cool and talk about what's been going on with you. You must tell me everything. I want to know everything about your exciting life in New York City." I trailed along behind her across the warm, rose-scented front porch and into a wide, sun-filled entryway. The brightness was dazzling. Light danced around us like a thousand shimmering slivers of glass. Large oil paintings lined the walls and color was everywhere -- bright swaths of clear, intense reds and blues and yellows. It should have been cheerful. It should have felt warm and inviting, but the unnatural silence of the house betrayed its initial gaiety, and as the screen door clicked shut behind me, I began to feel increasingly uncomfortable and out-of-place. Who is she, I wondered, this tall and willowy woman, this genteel suburban matron propelling me down the corridors of her home? Do I even know who she is any more? There were familiar traces of the girl I'd known so well -- the straight, honey-coloured hair falling forward over her face, the way she tilted her head when she was listening intently. But there was so much about her that I didn't recognize. Annie, my dearest childhood friend, had always been so vibrant and playful, so full of life. This woman politely guiding me into her well-appointed living room, offering me iced coffee and mouthing superficial pleasantries, was distant and guarded, as though she were simply going through the motions until ... until what? I had the odd sensation that she was waiting for me to do something, to reassure her somehow and make it safe for her to be herself. "Annie ..." I heard myself saying. She stopped abruptly and turned her eyes on me expectantly. "Yes?" "I..." I stammered. "I just wondered if everything was okay. You seem kind of..." but my voice trailed off under her cool appraisal. With a forced smile, she perched almost primly on the far edge of the sofa and patted the space beside her. "You're wondering why I'm here by myself, aren't you?" "Exactly," I lied, sinking into the plush white cushion. "I was thinking that either they weren't here or that kids these days must be a whole lot quieter than they were when you and I were terrorizing the neighbourhood. So how old are they now? About twelve and seven, right?" "You're close. Betsy's actually a very teenage fourteen and Sam's eight. And you're right." She sighed in resignation. "They're not here. They both 'had plans' elsewhere, as usual. They seem to prefer it that way these days. But we'll get to all that later. First, tell me about you. Please?" Her voice was suddenly low and pleading, and her discomfort touched me. "Where did we leave off," I began, smiling dutifully, as though I were performing for someone I scarcely knew. "Had I even told you I might be leaving my job, maybe changing careers altogether?" And so it went for an hour or two. I told her stories she'd already heard. She asked questions, nodded, made appropriate remarks. And we both avoided the obvious. We never mentioned Arthur, never. By six o'clock, I had nothing left to say, and the unspoken words between us were becoming increasingly difficult to ignore. "Annie," I leaned forward until my face was just inches from hers. "Please don't make me chatter on like this anymore. I didn't come all this way to deliver a monologue about the past twenty-five years." Her eyes clouded, and she looked away, but I persisted. "I'm going to just say his name, and then I'm going to ask you how you're doing, all right? I know it's painful for you. I know you don't want to talk about Arthur, but I love you too much to let us sit here just pretending that ... that it never happened." I tried to put my hand over hers, but she pulled away. "Please don't do this," she whispered, sounding like a desperate child. "Don't make me do this." "Annie, you have to talk about it. You've tried avoiding any mention of him for nearly a year, and clearly, it's not working; not for you nor, evidently, for the children." For a moment, she looked as though she were about to cry, but when I reached out once again to touch her hand, she stiffened, and her pale, composed face contorted in anger. "Who are you to come here and tell me what I need to do," she spat. "You've been so busy with your big important life. You've seen me exactly three times in the past twenty-five years, and now you think you know what I have to do? No one knows what hell I've been through, no one. Especially not you," she glared at me. "It wasn't the suicide that was unbearable, it was our life together. His killing himself was a relief." She paused, her eyes burning defiantly into mine, as though she were daring me to judge her. "I know I sound like a monster. There isn't anything you can call me that I haven't called myself." Her voice broke for a moment, and then she continued in a mocking kind of singsong. "Do you know what it's like to live with someone who hates you -- hates you and grinds you down day by day until you're nothing at all? Do you know what it's like to have everyone in the community think you're married to a saint -- the wonderful husband, the brilliant psychiatrist who solves everyone else's problems but lets his own family go to hell? Look at this," she sprang to her feet, gesturing around the elegant white living room. "Look at this ... do you think anyone knows what hell really looks like? Well this is hell." She marched over to the tall French doors and waved her hand toward the perfectly manicured lawn. Her voice was quieter now and unnaturally flat. "This lovely view is a three million dollar corner of hell." She spun around to look at me. "Did you know that Elizabeth?" "DID YOU KNOW THAT ELIZABETH?" "No, honey, I didn't know that," I answered softly, not wanting to interrupt her. "Well it is. This lovely home of the well-respected doctor and his perfect little family ... this is a portrait of hell." She stood silent, her back to me as she gazed out the window. After a moment, her shoulders began to sag, and she hung her head like a forlorn child. "I am just so lost Elizabeth, completely lost. The kids need a mother now. They need strength and courage, and I haven't got any. I have nothing left to give." Her voice dropped to a whisper as though the last ounce of energy had been drained from her, and she moved slowly back toward the sofa. "I can go through the motions. There's food on the table, and their clothes get washed, and I drive them to school, but I can't comfort them. I can't even talk to them. I think I'm still so angry that if I even mention their father's name, I'll explode. Oh God, Elizabeth," she stared at me imploringly. "How did I ever get here? How did this ever happen to me?" Her eyes filled with tears, and she glanced down at her hands, twisting them nervously as she listened. I brushed a strand of hair off her forehead and tucked it behind her ear. "You were always my hero, Annie -- you were everything I wanted to be. When you left St. Claire and met Arthur and got married, I was so envious. I wondered what was wrong with me, why I couldn't be more like you. Why couldn't I marry my college sweetheart and raise two darling children and make it all look so easy? I hated myself for not being like you, for not even knowing how to do the things you did. You did them all with such grace and good humour. And there I was; a restless soul who never fit in. I didn't meet the right guy and settle down and build a family, and my nasty little secret was that I didn't even want to do those things. I tried to want them, but I couldn't. I'd look at you, and I'd feel like such a failure. When you came to town and we'd get together..." I glanced at her anxiously. "Don't misunderstand me, I loved to see you, and you never made me think there was something wrong with me. It wasn't you, it was me, but I just always left our rendezvous feeling like I'd wasted my life. You had direction and purpose, and I was a nomad wandering from place to place looking for God knows what." I paused as Annie started to laugh. It was not a joyful sound. "That's rich, Elizabeth. Do you know why I married Arthur so quickly, why I settled down and did all those right things you envied so much?" She stood up, crossed the room, and stood looking out over the garden. "I did everything I did because I was afraid. I was afraid to be alone, I was afraid to choose a career, I was afraid to be without a plan. I thought you were the bravest soul on earth, and I would have given anything to be just like you." She stopped for a moment, staring across the lawn at the spotlights shimmering upward through the dense row of trees. "Life with Arthur was hell. It was hell from the very beginning, and I married him anyway. That's how desperate I was. He was possessive and jealous and cruel. No one ever knew, at least I don't think they did. No one ever said anything to me, and I never confided in anyone. But he berated me constantly. Nothing I ever did was good enough." She smiled balefully in my direction. "That grace you talked about, that grace and good humour you thought I had? That was just me reading from someone else's script -- me performing for applause." Annie began to pace the room as she spoke. "I knew we were headed for disaster, but the worse he got, the more paralyzed I became. If I'd been afraid for Betsy and Sam I like to think I would have left, but he was actually pretty good with them. Not very attentive, at least to Sam -- he was too busy being the important doctor -- but he never said the kinds of things to them that he did to me." The words tumbled out in an unleashed torrent as she continued her ghostly pilgrimage around the darkening room. "Do you know why I never left? Because after eighteen years with him I was more afraid than I was when I married him. I had no money of my own, no job and no hope. That's the kind of hero I am." "Annie, I am so sorry. I had no idea. I would have done anything for you. I guess I was always so focused on myself, I never noticed that anything was out-of-place." I walked across the room and wrapped my arms around her. "I am so sorry." "We're quite a pair, aren't we?" She pulled her head back from my shoulder and wiped her eyes with the back of her hand, the way she always used to do when she'd had a good cry. "That we are," I breathed, looking into her face, girlish now and unguarded. "We've always been quite a pair. We just lost our way for a bit." "I was thinking the same thing," she sighed as she sprawled across the sofa, a gawky teenager come home. "If you'd told me who I was and if I'd told you who you were, all those years ago, maybe we wouldn't have done what we did, if that makes any sense." "I was thinking that I wish we could have waved a magic wand and traded places with each other for a while. It might have saved us both half a lifetime of self-centered misery." Annie nodded and a smile began to play across her face as she reached over and switched on the slender brass table lamp beside her. "Well at least we know it now, and that's a start, right?" "Indeed it is," I answered, squeezing her hand. "It's most definitely a start." 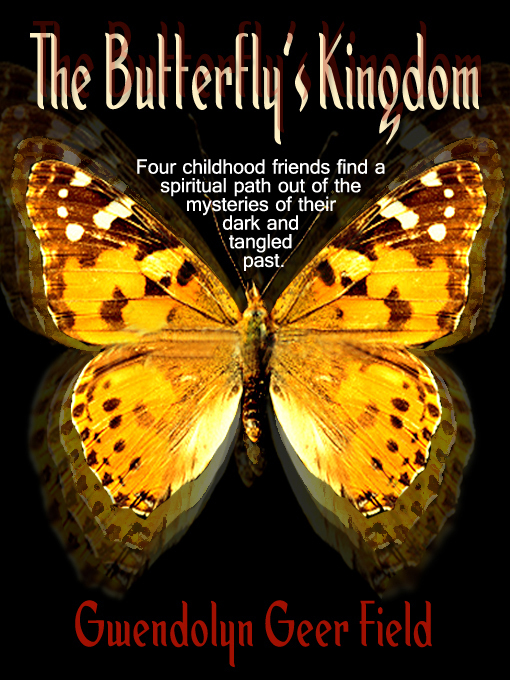 The Butterfly's Kingdom is destined to become a GREAT classic, along the lines of Celestine Prophecy. It's the book that you can't wait to tell all of your friends about. 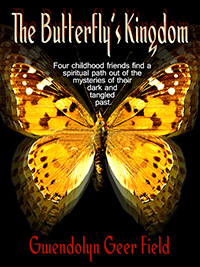 The Butterfly's Kingdom grabs you on so many levels. At first, it hooks you as one perfect sentence takes you to another perfectly constructed sentence. Each sentence is filled to the max with magical content, with each word chosen being the perfect word to describe the idea or feeling being communicated. Together, they create strong visual images, enabling you to see beyond the pages you are reading, almost magically. I marveled at how each sentence could be so perfectly constructed and each word so perfectly chosen, and I never stopped being impressed, even mesmerized, until I at last put the book down when I was finished. I was actually disappointed that it had ended, and found myself hoping for a sequel. In addition, from the beginning, the character development was so well done that I began to want to know more about each of the central characters, their relationship with each other, and the apparent secret that seemed to be lurking just beyond the next page. I kept thinking that, with each new page, I would unravel the mystery that was dangling just out of my reach, but Gwendolyn skillfully kept you guessing until the very end. Ah, romantic novels! What can we say? Don't we all just long to read a really great romantic novel, which is more about love than the "hooking up" model of today, and knowing that it is never too late to find it. I loved the romance! Although, the Author leaves you hanging there on this issue as well. It is not until the end, as all of the mystery unfolds that you know that each character's love interest is perfectly matched with a successful outcome. No, I won't give it away! 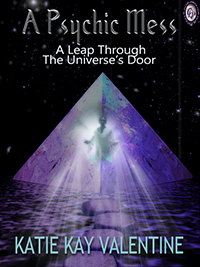 And, finally, we have all begun to be more in touch with our spirtuality, and the book weaves the elements of spirtuality throughout the story, showing how we not only lead by example in sharing our understandings, but we can stay open to the possibility of miracles. This is clearly the best book I've read in year's, and it is one of the few that I purposely did not give away to a friend to read. I jealously guarded my copy, as it is a book I intend to read again and again. I can't imagine a person, young or old, who wouldn't find this a joyful story to have unfold right before their eyes. I got so "hooked" on reading it that I welcomed a 24-hour stomach flu just because it enabled me to stay home in bed reading the last chapters of The Butterfly's Kingdom!! Enjoy! I know that I did.